Filming of Batman vs Superman: Dawn of Justice is underway. Photos have been hitting the web recently from the set of the movie and thanks to Batman-News.com and Screenrant.com we get to see them. Some of the photos are very basic and others have us wondering. We have a photo of Tao Okamoto, who is reported to be playing Mercy Graves, Lex Luthor’s bodyguard. Tao is best known for her role as Mariko in The Wolverine. We have a photo of Holly Hunter dressed in a tight pencil skirt. We have yet to find out who she will be playing in the movie. We just know, according to Zack Synder, that the role was created just for her. Then we have the most interesting photos from the set so far. 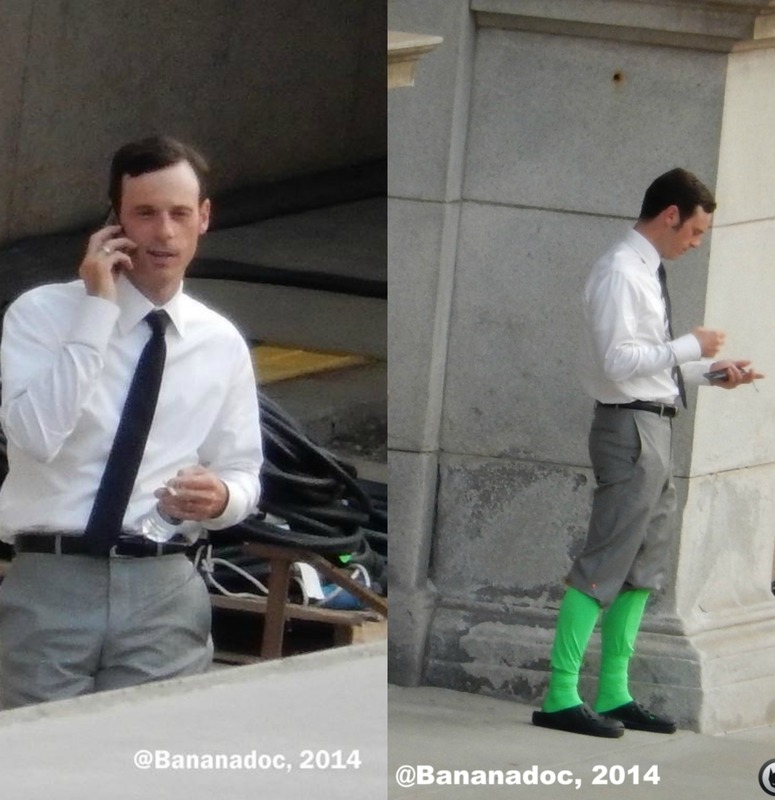 We have Scoot McNairy wearing a green screen suit on his legs. This is causing a lot of fans to wonder who he could be playing. Rumors are he could be playing The Flash. He’s legs could be being removed to add in the super speed visual effects. Another rumor is he could be playing Metallo. In which the green screen could be there to replace his legs with cyborg legs.